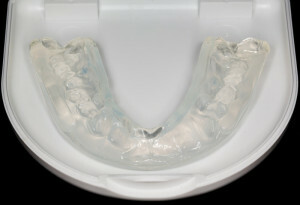 Dr. Reem Kidess, DDS provides custom fitted mouth guards in her Scottsdale, Arizona dental practice. To ensure the best fit possible, Dr. Kidess will prepare a mold of your teeth and mouth to design a custom-made night guard. This plastic occlusal splint (mouth guard) will be designed to fit over either your upper teeth (upper splint), lower teeth (lower splint) or your front teeth (anterior splint). Dr. Kidess will provide the best mouth guard for your needs.